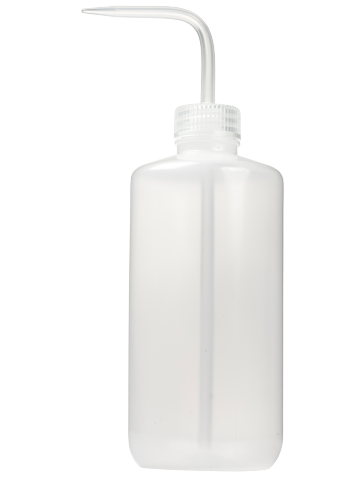 LDPE spray bottles, wide neck, with screw cap and spray nozzle. The spray nozzle is fixed in the lid, so that unintended turning is prevented. The safety valve prevents unintended leakage of liquids during pressure or temperature changes. Light pressure on the bottle ensues a fine jet.